ROAD TOWN, Tortola, VI- Some news outlets have inaccurately reported that all prisoners from Her Majesty's Prison (HMP) in Balsam Ghut, Tortola have been sent packing to St Lucia. Our newsroom can confirm that is not so. 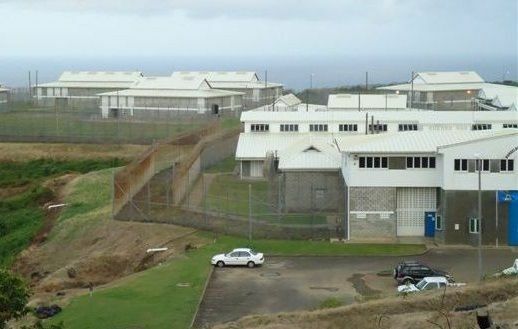 In fact, out of about 143 inmates at the state-owned penitentiary at Balsam Ghut only 21 most dangerous prisoners have been sent so far to St Lucia to be housed at their Bordelais Correctional Facility (BCF). The Virgin Islands (VI) unelected Governor Augustus J. U. Jaspert, who is in charge of the country following Irma, a category 5 hurricane that destroyed the VI, signed an Emergency Powers for the Transfer of Prisoners, regulations 2017, and issued warrants for the transfer of prisoners to St Lucia a few days ago. The governor, who shares responsibility over the prison with government minister, Hon Myron V. Walwyn (AL), who is sidelined as the Governor is the boss, said the transfer is because of the two Category 5 hurricanes that affected the prison building at Balsam Ghut on the main island of Tortola. Following the severe damage to HMP after Hurrience Irma, all the prisoners escaped; however, all but six have been recaptured, and others turned themselves in. Police Commissioner Michael Matthews claimed that those who are on the run are ‘low-risk’. Thank you grench!!! With them nonsense bout who do this to the families. Atleast they alive, the people they killed have families left behind grieving for their loved ones. When they where doing their crimes, did they think about their families? Go seat!! @Just Wrong, what about their families? What about the victims families? Karma have finally caught up to the inmates that were transferred to ST. Lucia prison. Now they will experience what true PRISON LIFE is and what it means. Don't be in any hurry to come back guys. @Just Wrong, the inmates who was transfer jig is up. From what I heard, St. Lucia prison is no cake walk like the Hotel up on the hill. I bet most of them is crying now. Like the song says, who's sorry now? Welcome to real prison life and reality boys. @ok, I am a law abiding citizen of the BVI. If I go there, it will be for a job bobo. you think they will send expats only, as if they only commit crimes. @...........your people were let go, dem gone st Lucia!!! !